Taxidermy, anyone? 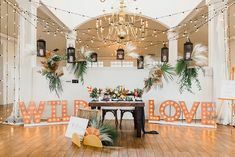 Nicole Burbank Majors, owner and event coordinator at Nicole Burbank Events, pulled out all of the out-the-box stops to pull off an installation inspired by Temecula Creek Inn at our Engaged event this month. 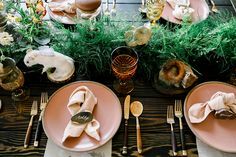 Mushrooms, linen menus, seed paper stationary, and, yes, taxidermy—all of them made the cut in her tabletop display. Here, she shares the must-have components to replicate the whimsical woodland look, the most challenging facets of doing it herself, plus what parts she literally bottled up and took home. What were some of the details you had to incorporate to bring Temecula Creek Inn to life? 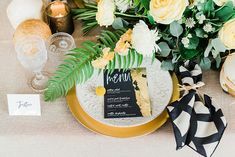 We wanted to have as much texture as possible to showcase the natural environment of Temecula Creek Inn, hence the dark wood, linen menus, and greenery. 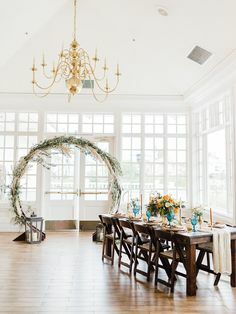 Incorporating unique ideas like taxidermy and mushrooms in a way that would still be lovely and romantic for a wedding display. We had moss and mushroom in glass “terrariums” (mushroom shaped canisters), which I took home. I also hold dear the invitation suite, hand calligraphed and illustrated on plantable tomato seed paper!